NEC’s new 46-inch X461S and 55-inch X551S super-slim displays are the first large-screen products from NEC to offer LED backlighting technology, bringing a new class of professional-grade displays to NEC’s lineup. Their edge-lit LED backlight enables lightweight design with minimal depth, enhancing flexibility for a variety of installation projects. Their highly reliable panels allow for 24/7 operation with advanced thermal protection and a sealed panel design to accommodate the most formidable digital signage industry requirements. The X461S and X551S are also the first in NEC’s lineup to offer Intel’s Open Pluggable Specification (OPS), which is the first industry-wide standardization in option slots that simplifies digital signage. The OPS option slot allows for easier installation, use and maintenance of digital signage. These models provide users with full connectivity, including DisplayPort, HDMI, and DVI-D. Network Control and Communication allows the highest level of remote display management. Ethernet connectivity provides email notifications to the administrator, and RS-232 enables multi-display control and daisy chain capabilities to simplify display management. The X461S and X551S feature a 1920x1080 native resolution, up to 4000:1 contrast ratio, and a maximum brightness of 600 cd/m². 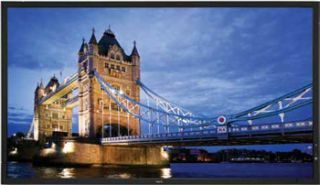 Operational in landscape and portrait orientations, the super slim displays can be used in video wall configurations of up to 100 displays. Both displays provide users with an ambient light sensor to monitor the external lighting conditions and adjust the display accordingly. This is especially useful in areas with high ambient light or windows. Built-in features include a real-time clock, which enables the advanced scheduling of monitor powering up/down and closed captioning to decode and display text information from a video source and 5W speakers. The X461S and X551S can be easily carried with handles on the back of the display, which are adjustable and removable for flexibility after implementation. Eco-friendly features include a carbon footprint meter to track and calculate the conservation of green gas emissions. These displays are Windows Vista Premium™ certified and ENERGY STAR 5.0 compliant. NEC offers a wide variety of optional accessories and products for its displays, and the X461S and X551S are no exception. The following components can be purchased to accompany these X Series displays: stand, wall mounts, external PC, external TV tuner and media players. VUKUNET, from NEC, can also be implemented with these super-slim displays. The engine that powers the digital out-ofhome (DOOH) industry, VUKUNET is the only universal ad serving platform that drives ads to any DOOH network, regardless of content management software. VUKUNET makes the buying, flighting, and reporting of DOOH ad campaigns easy. The X461S and X551S are available for shipping at an estimated street price of $2399 and $3799, respectively. Each carries a 3-year limited parts and labor warranty, which includes the backlight.